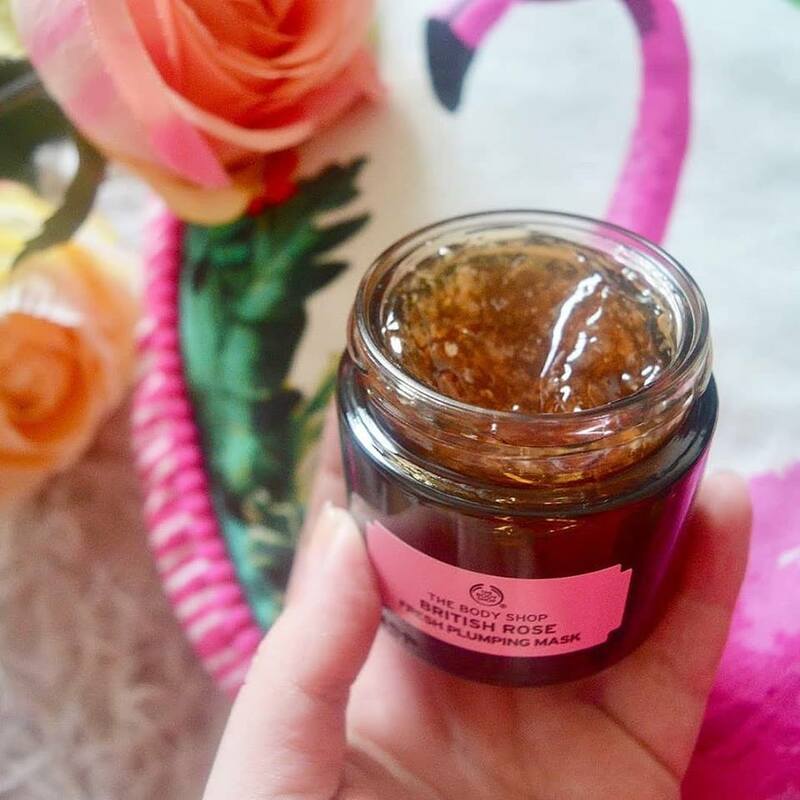 I am a big fan of face masks and I usually use one every week as my skin needs a well-needed boost as my skin can get very dry in areas as my skin is combination skin. I have used so many different types of face mask from a few different brands and I always come back to the body shop masks as they work wonders for me. 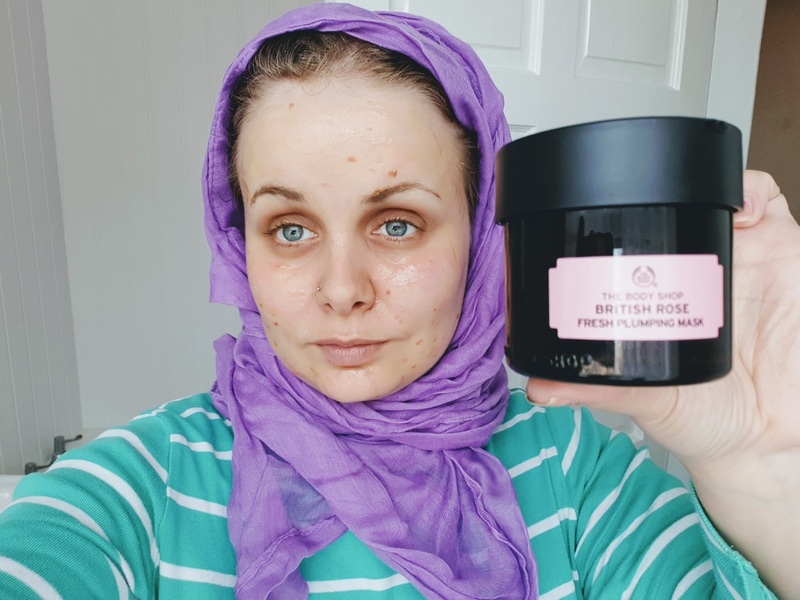 I just had to see what the British Rose fresh plumping mask was like as it's made for skin that needs quenched and re-plumped with moisture. I just love the packaging on the body shop super food masks! They are definalty designed to look like home spa products and it does feel like a little bit of luxury home use. The box is strong and the jar looks very nice too. It has a screw lid that has a little cap on top of the product to help keep the product fresher for longer. It has a very refreshing gel texture unlike a lot of face mask which tends to be clay, peelable or foam. Not only is it gel its also infused with real rose petals which is a nice touch. As you can tell by the name of this mask it does smell 100% like fresh roses. Imagine walking in a garden that has 100s of rose plants and they are all blooming in the beautiful summer's heat... well that's what this face smells like, it's very delightful and very refreshing. Its described on the body shops website for skin that needs to be quenched and re-plumped with moisture. It is also great for moisturising, soothing and tone the skin at the comfort of your own home. Like all superfood face mask by the body sho,p they are desbrised. as facial for home. I also found out its a great mask for skin that needs to be cooled down on a warm spring/summers day, it really is a refreshing treat. The body shop has their own facial mask brushes which are perfect for putting on face masks as they ensure even coverage with their slanted bristles and easy grip handle. But me being me I haven't bought this yet and just use a makeup brush that doesn't get used. I am no expert with this but I have used a fair number of face masks over the years and it usually serves me well. Basically, I use a clean makeup brush and apply a generous amount of product on my face but avoiding my eyes as the eyes can be sensitive and eyes need products specially made for them or have a product mentioning can be used there. I like to apply one layer of the product but if I am feeling tired, need a treat or my skin drier I will give it another layer. During the recommended 10-15 minute time frame of wearing this mask, it starts to get a little drier and the rose petals come more prominent. After the 10-15 minute time frame ends I wash my face with warm water until the product has washed off. As soon as its all off I then splash some cold water on my face to close pores. I love this face mask, it's so cooling and refreshing on my skin which is a big bonus as some skincare products can irritate and make my skin sore especially ones that have fragrance in them. The scent was just lovely too, it smells 100% like fresh cut roses and natural. My skin is definitely more hydrated using this as my skin can get quite dry if I don't keep up with my skincare regime, especially in the warmer months. 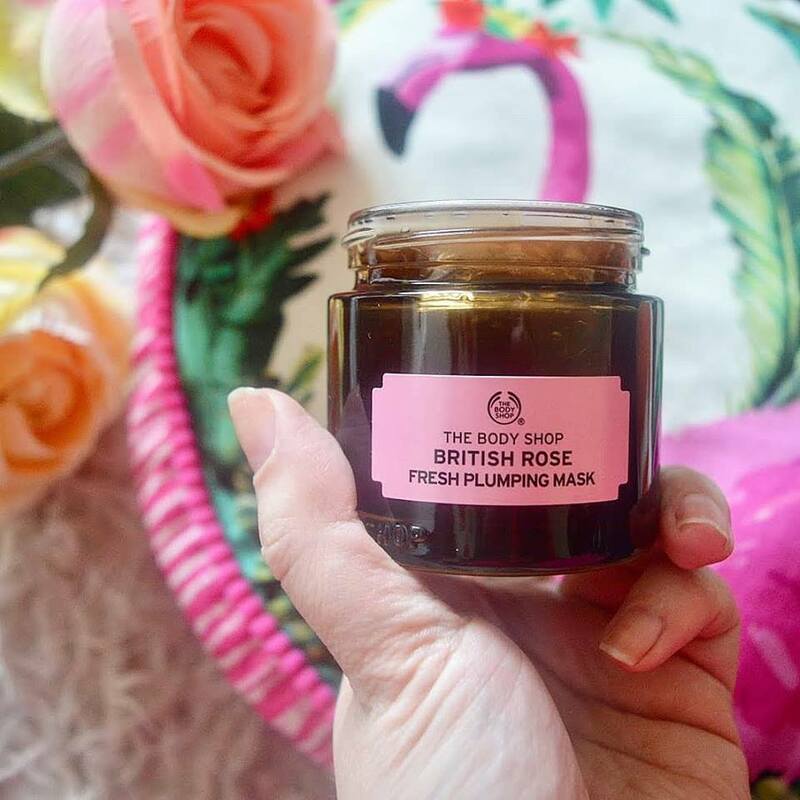 Have you tried any of the body shops superfood face mask? if not which face is your favourite? 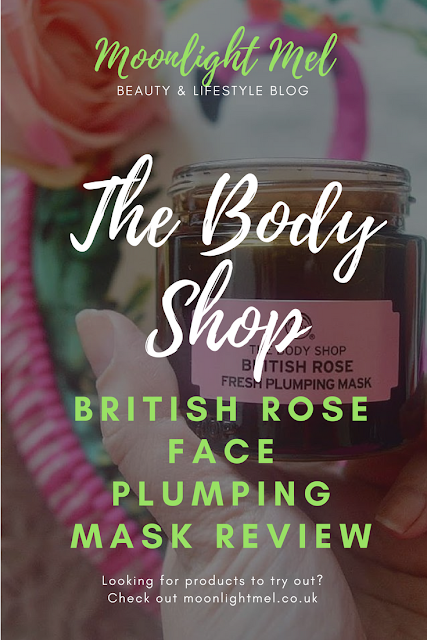 Love the British rose scent and that mask looks interesting!